Welcome to my gallery of pictures and memories of a time long ago when so many of us were young and innocent. I certainly hope some of these images bring back pleasant memories of Vietnam. If you recognize anyone on these pictures, please let me know and I'll include your remarks. If you wish to post reunions or other info here, I'll be glad to help. To all my brethren out there, it was indeed an honor to serve with you! 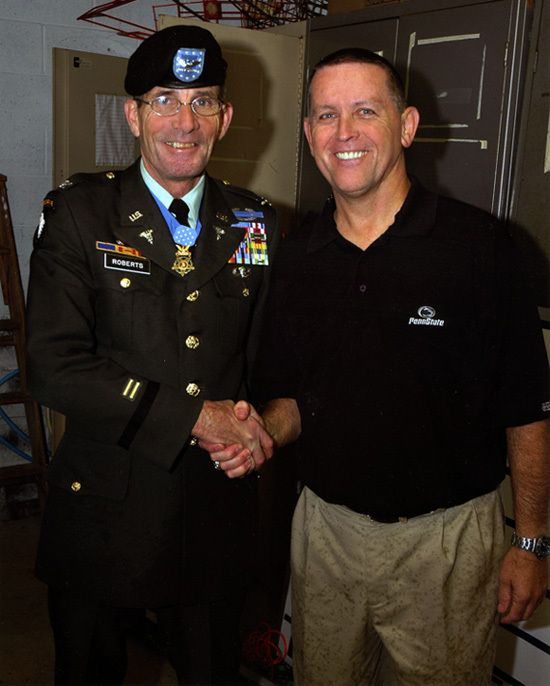 Here I am shaking hands with a true American Hero, Col. Gordon Roberts. Col Roberts (http://www.udayton.edu/Stories/Story/?contentId=7987) graciously accepted my offer to participate in a "Hero's Home" welcome celebration for the local vets and current troopers of the Eastern Lebanon County School District involved in the War on Terrorism. As you can see, we got caught in a torrential rain storm, however neither the troops nor Col Roberts flinched at the rain. As the Col. put it..."If it ain't raining, you ain't training." I first met Col Roberts at the 50th anniversary celebration of the AMTU at Ft. Benning, GA. Col Roberts is a truly amazing individual. God bless Col Roberts! Listed above are some of the greatest people I've ever had the opportunity to know and respect. In 1968-69, many of us were young, scared and most of us did not necessarily want to be In Viet Nam. Nonetheless, we all volunteered for this training and these gentlemen took us in and "showed us the way" through hard training and unrelenting discipline, but more importantly, sharing mutual respect for the job at hand and their love for shooting. 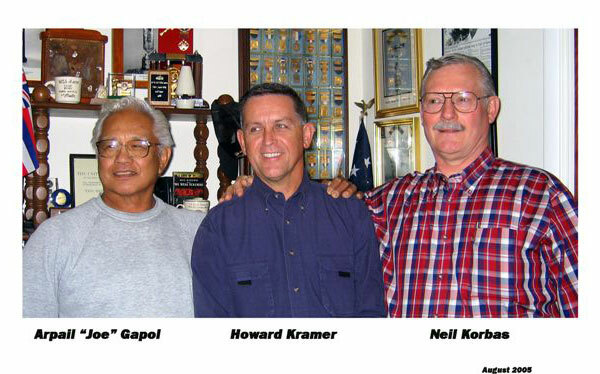 A special "thank you" to Joe Gapol who took me under his wing for my remaining time in the military. I'm proud to say Joe and I are still the best of friends! Please visit the Mobile Riverine Force Association.